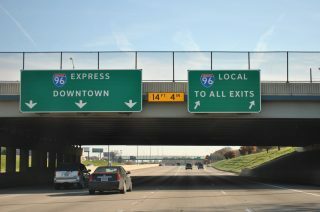 Interstate 96 splits into a dual freeway east with Local and Express lanes allowing for a faster route toward Downtown Detroit. Photo taken 11/06/11. 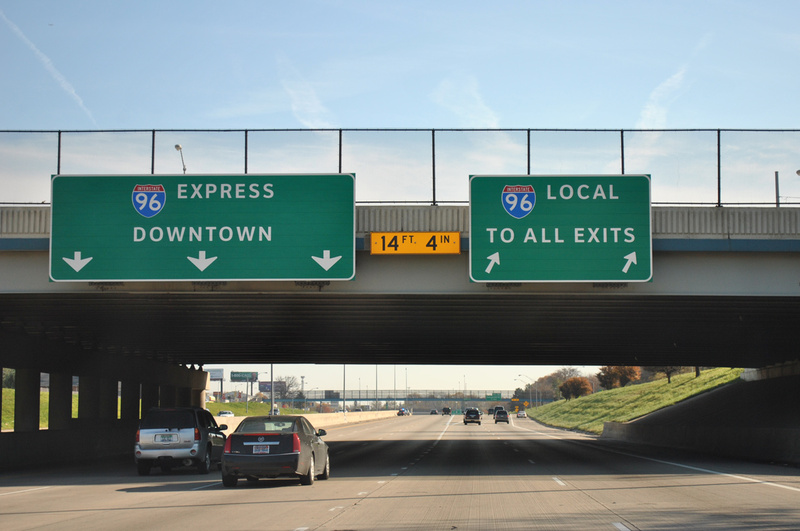 The Local/Express lane configuration of Interstate 96 runs east from the Detroit city line to Davison Avenue (Exit 186B). The setup sees six overall Express lanes with slip ramps joining them with the two-lane outside Local lanes. There are no direct exits from the Express lanes to area interchanges otherwise. A similar configuration exists along Interstate 270 in Montgomery County, Maryland. More recent implementation of Express lanes nationwide however utilizes tolling. Approaching the Centre County line along scenic Interstate 99 & U.S. 220 northbound. Photo taken 06/08/12. 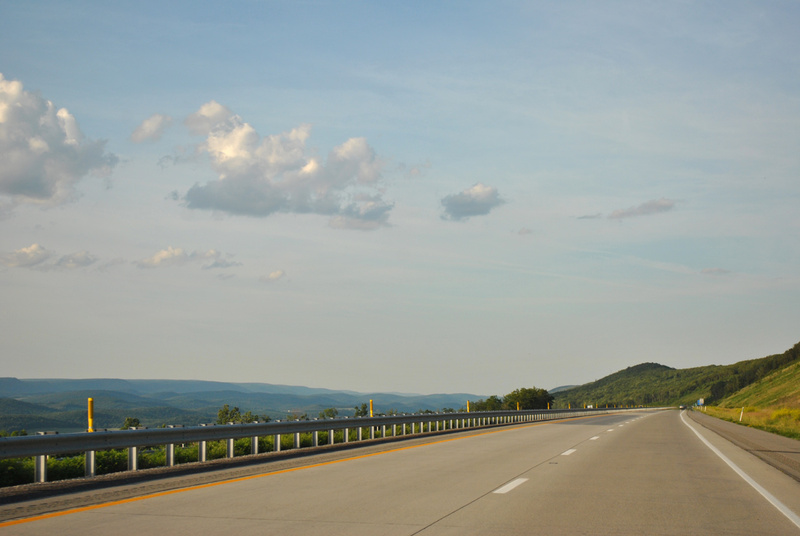 Interstate 99 was designated by legislation added to the 1995 National Highway Designation Act. 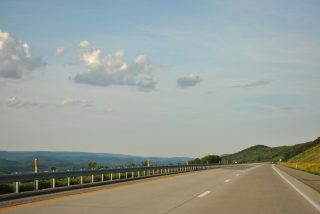 The route currently exists in two sections: Bedford to Bellefonte, Pennsylvania and from the New York state line at Lawrenceville north to Painted Post.